Four Sport Logo’s. 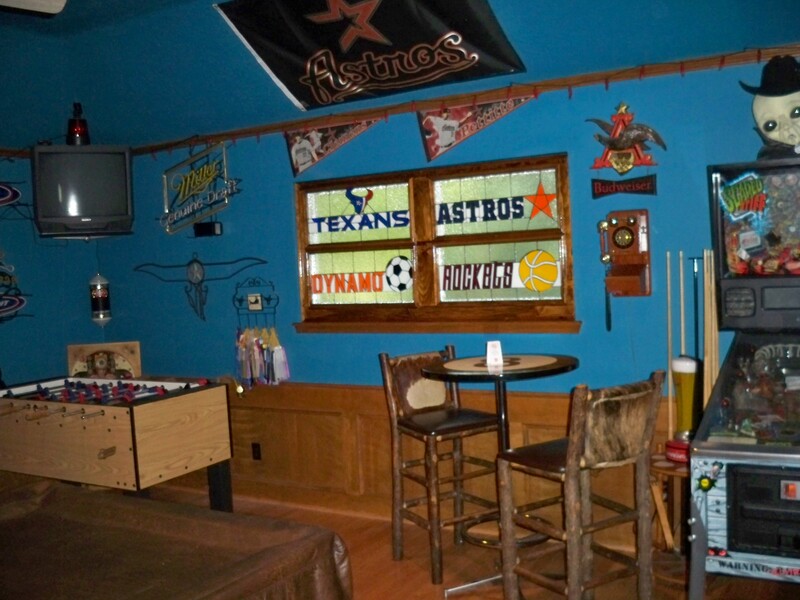 Texsuns, Dynanmo’s, Astros and Rockets. Have been installed. Beautiful. 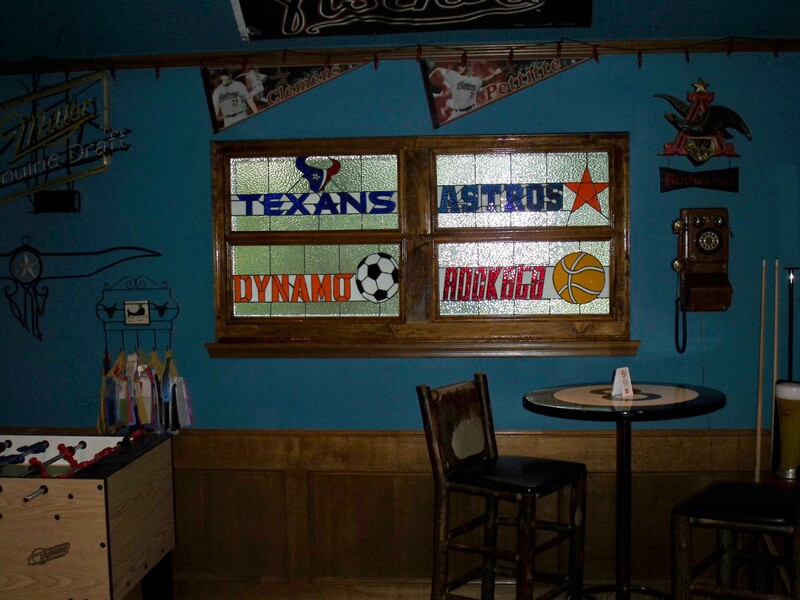 No limit what you can do with stained glass windows!! This entry was posted on September 13, 2013 by alliekayglass. 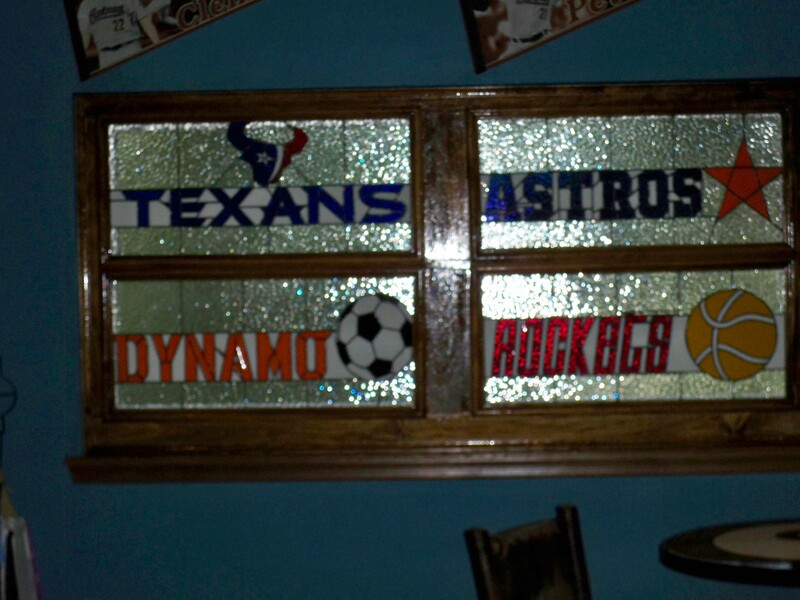 It was filed under Customized Glass, Sport Logos, Stained Glass and was tagged with ASTROS, Dynamo, Rockets, spots, Texsun.